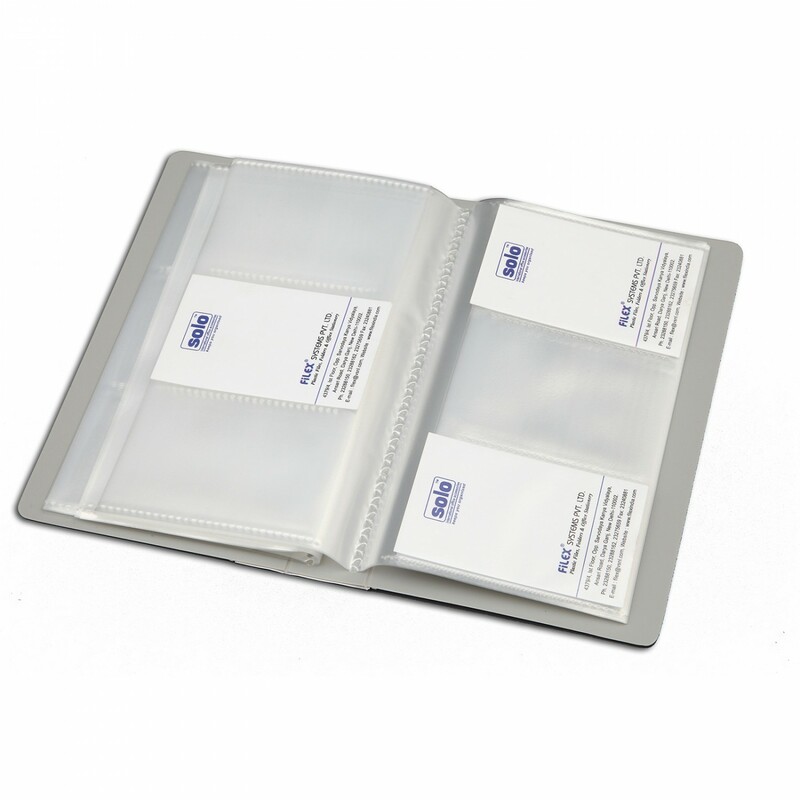 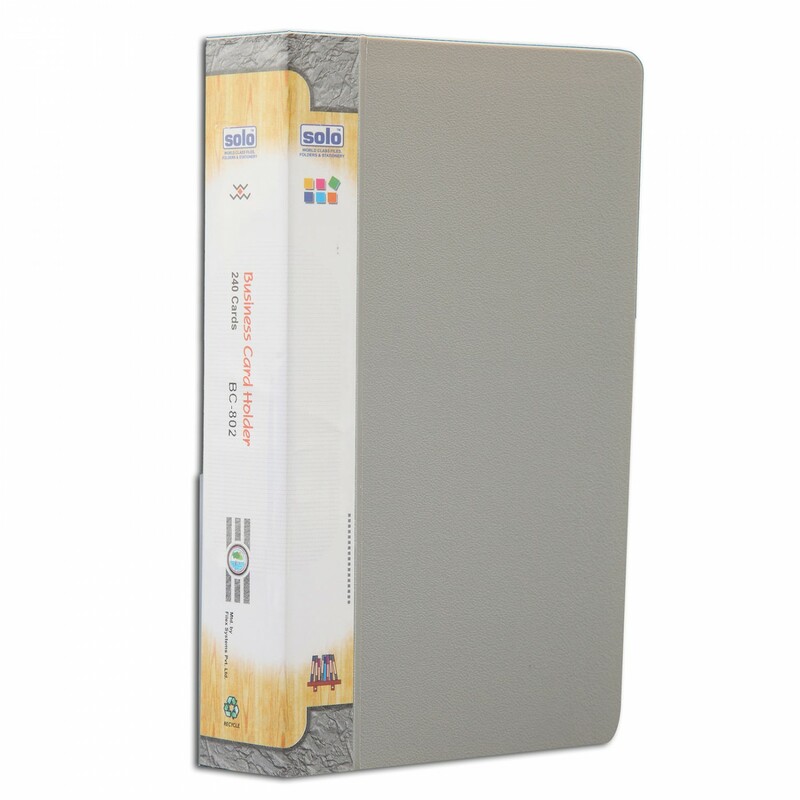 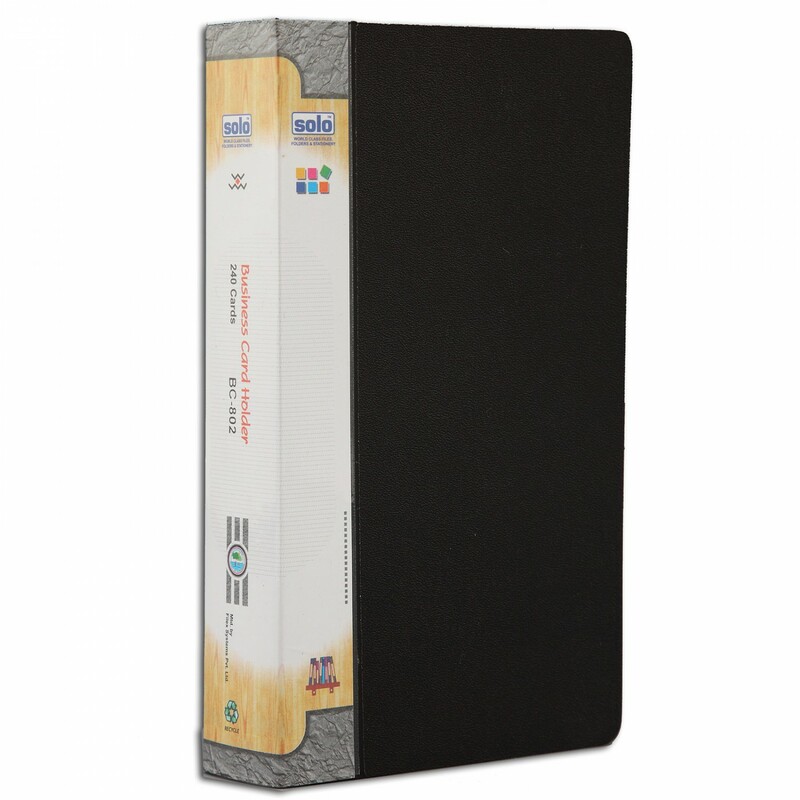 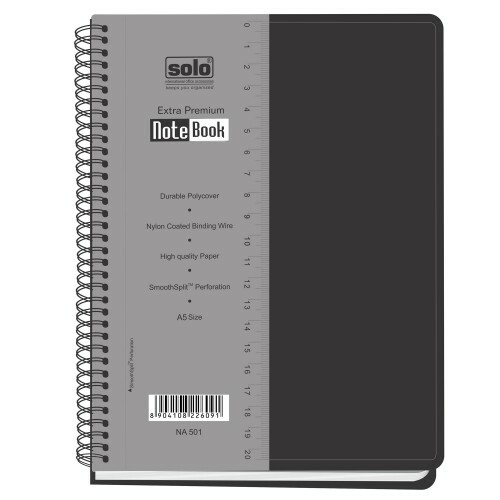 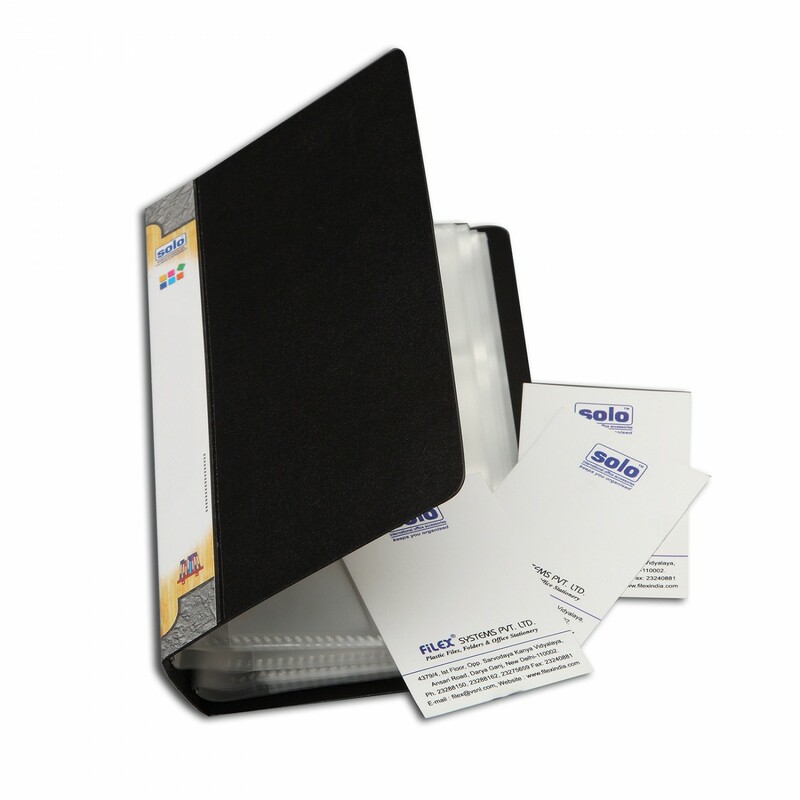 The Solo BC 802 is a set of Two Folder Type Card Holders, which prove to be very useful to keep your business cards in a safe and secure condition.The pockets of this card holder are made to be transparent so that you can see the items stored inside and can hold 240 cards at one time. Identification of different cards is made easy by the Spine Label feature this card holder is equipped with. 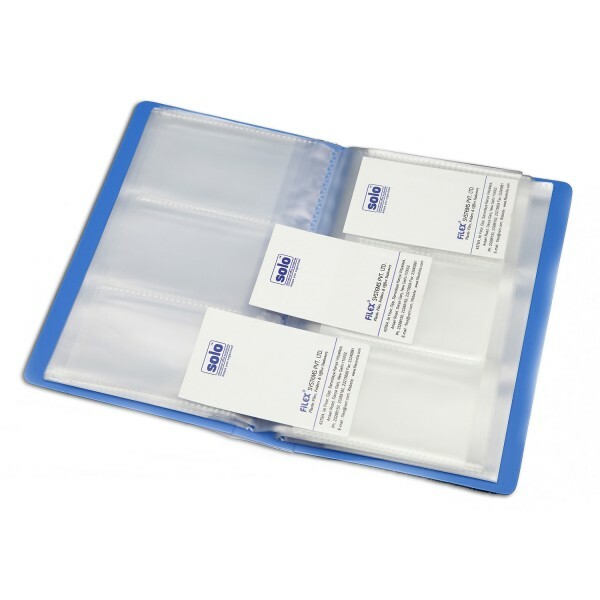 The business cards stored inside this lifetime-durable card holder are prevented from sticking as the ultrasonic welted pockets are neatly embossed with anti-static agent. 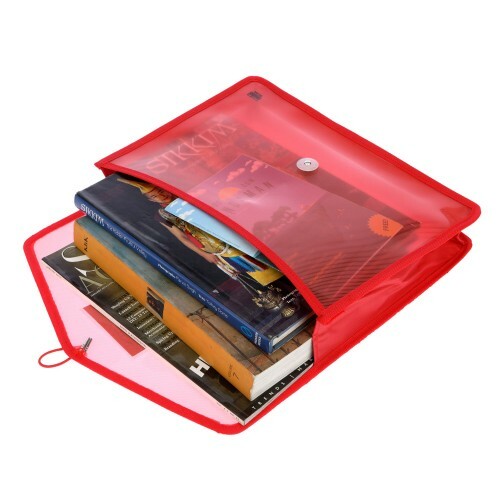 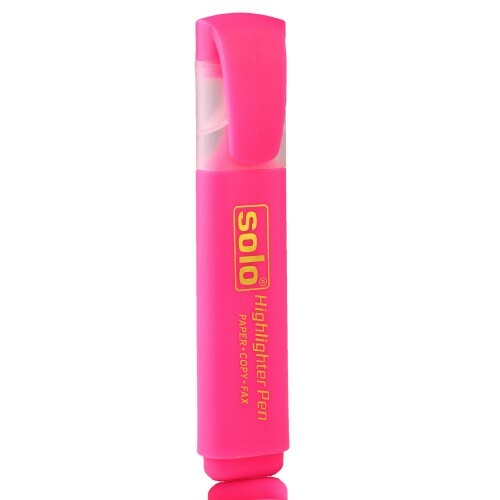 They come with a Sturdy Poly-board for extra protection.